Poshmark Pro Tools is not responsible for suspended, banned, soft-banned, locked, unlocked, deleted or terminated Poshmark accounts. This software is an OPTION to replace the repetitive, manual actions that exist on the Poshmark.com website. Such as life, anything in excess is not a good thing, the same goes for automation software, if you do not want bad things to happen to your Poshmark account, you must educate yourself about when too much is actually, too much. 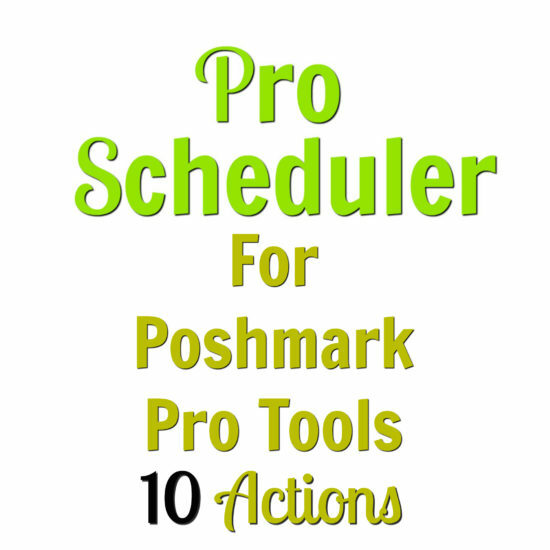 We provide YouTube videos and other instructional materials to help you make smart decisions when it comes to using a powerful tool such as Poshmark Pro Tools, please heed our advice. The products / Software available for purchase on our web site are downloadable, functional, and try-before-you-buy. We provide free trial periods to let you fully evaluate our products before you make a purchase decision. During your trial period, our support staff is available to assist in installation and configuration via email or remotely. We strongly recommend that all customers download, install, and test the trial version of any product prior to making a purchase. After purchasing, it is standard for license activation to take anywhere from 1-24hrs. This is a security measure to prevent abuse of our licenses. Once licenses are active, you will receive an e-mail. Please do not email before the 24 hr window is up asking about your license. We have received your order and are processing it. We use PayPal to ensure that our customers are safe and are well protected during their investment. In rare instances and only within 30 days of purchase of a software that has been released in the last (30) days, if due to technical difficulties or platform incompatibilities the software will not function, we may, at our discretion, issue a refund. In such instances, we require that you provide enough information for us to positively identify your purchase transaction (e.g., order number, your company name, date of transaction, purchase code, number of licenses purchased, etc.). 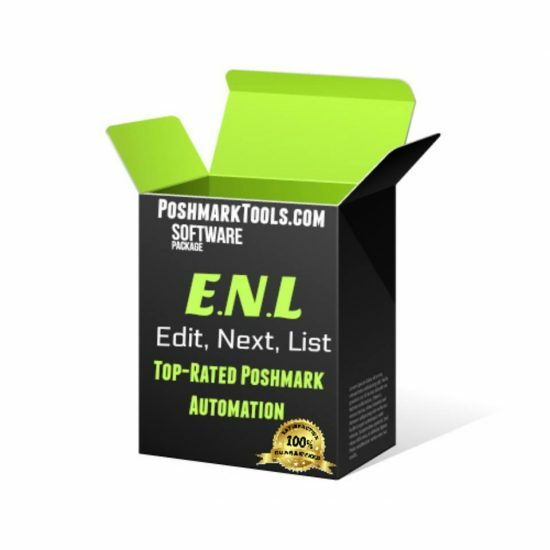 Poshmark Pro Tools has a support team capable of fixing and repairing most problems with software. We will provide free support if your software is unusable or if there is a bug. In order for us to issue a refund, we must be able to provide support for you to try and fix the issue you are having, we can do this through e-mail & remote assistance through the Team Viewer platform. Order #, PayPal transaction ID, Full Name & E-mail Address, before we will process the refund. 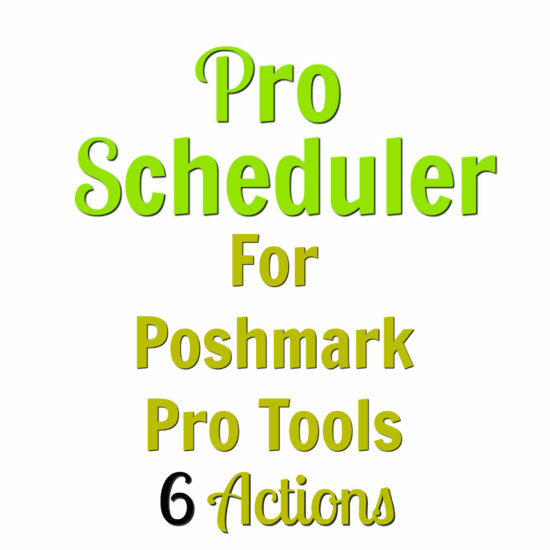 Poshmark Pro Tools is not responsible for lost, delayed, or misdirected mail or email, delays for downloading, or other communication system delays. Poshmark Pro Tools policy for usage is 1 License per machine, per instance. If found running this software commercially, your licenses may be taken away without notice, and no refund will be given. Users who try to dupe the software, or our company, will also be banned without notice. This is a clear-cut violation of our policies and you are now STEALING from us. We take this very seriously and will take immediate action following this violation. Please contact customer service at support@poshmarktools.com if you have any questions.